Entries are open for the nationwide Ballance Farm Environment Awards. Graeme Williams and Derry Stovell entered the 2013 Ballance Farm Environment Awards because they wanted to highlight the value of East Cape hill country. Graeme and Derry farm 700ha (effective) ‘Mangaroa’, a steep hill-country property southwest of Tokomaru Bay. They were encouraged to enter the competition by other farmers who asked them to represent the Gisborne region. “We felt this place tells a real story,” says Graeme. Around 58,000 trees have been planted on Mangaroa, mainly for erosion control, shelter and even stock feed. 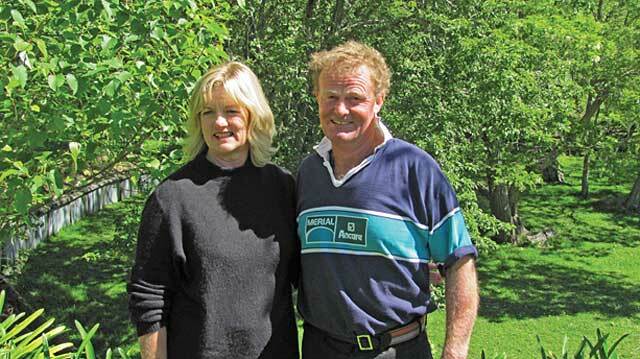 Graeme says the efforts of his parents have “come to fruition”, proving a two-tier system of trees and livestock is financially and environmentally viable. Ballance Farm Environment Award (BFEA) judges agreed, noting Mangaroa “is achieving high production figures with sought after stock”. Surrounded by forestry blocks, the property runs 4800 stock units but is split into just 12 paddocks. Graeme makes no apology for using historic farming practices. Graeme and Derry won two category awards in the 2013 East Coast Ballance Farm Environment Awards, including the Massey University Discovery Award. This award acknowledges the discovery of economically and environmentally sustainable farming systems. It “recognises farmers and farming families who have been proactive in seeking or developing knowledge and applying that knowledge to move their farming business to a more sustainable state”. BFEA judges were impressed with the strategic use of willow and poplar plantings on Mangaroa. They also noted the use of willows as a “living hay barn” to feed stock in dry conditions. Mangaroa also won the East Coast Farming For The Future Award. Graeme says the Ballance Farm Environment Awards were “a great thing to be part of”. He says the judging was conducted in an informal and enjoyable manner. Derry also enjoyed participating in the Awards and she and Graeme are now actively encouraging other farmers to enter the competition. Graeme says the Awards play an important role in highlighting environmental issues and showcasing some of the good work being done on farms. He says the competition gets important messages out to both rural and urban audiences.